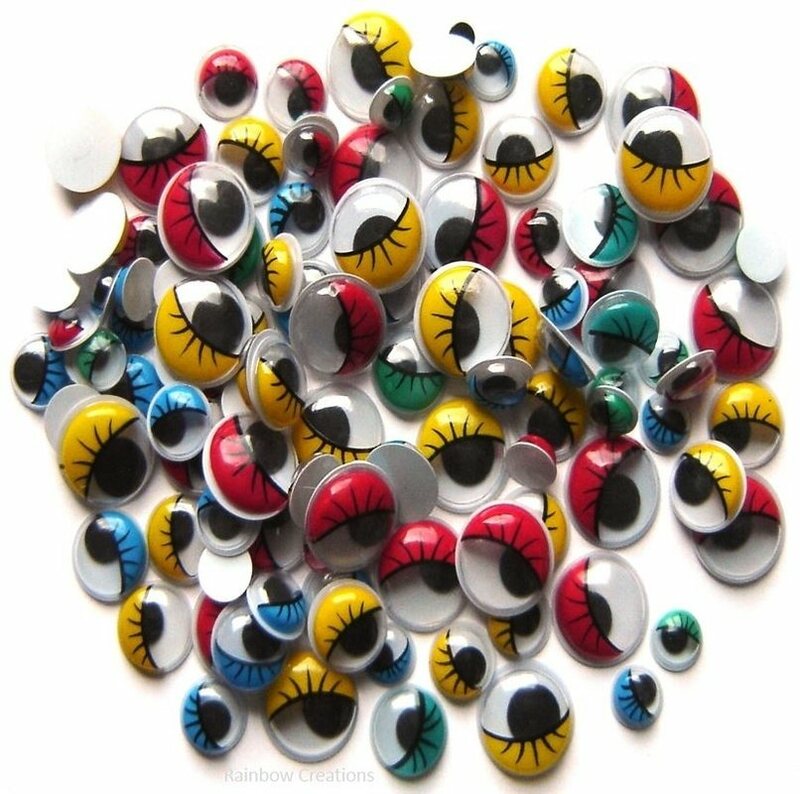 Brightly coloured googly eyes in assorted sizes and colours. These are super bright eyes with a wobbly black pupil and a neon coloured eye surround. Great fun for children to stick on to models and children's craft projects. 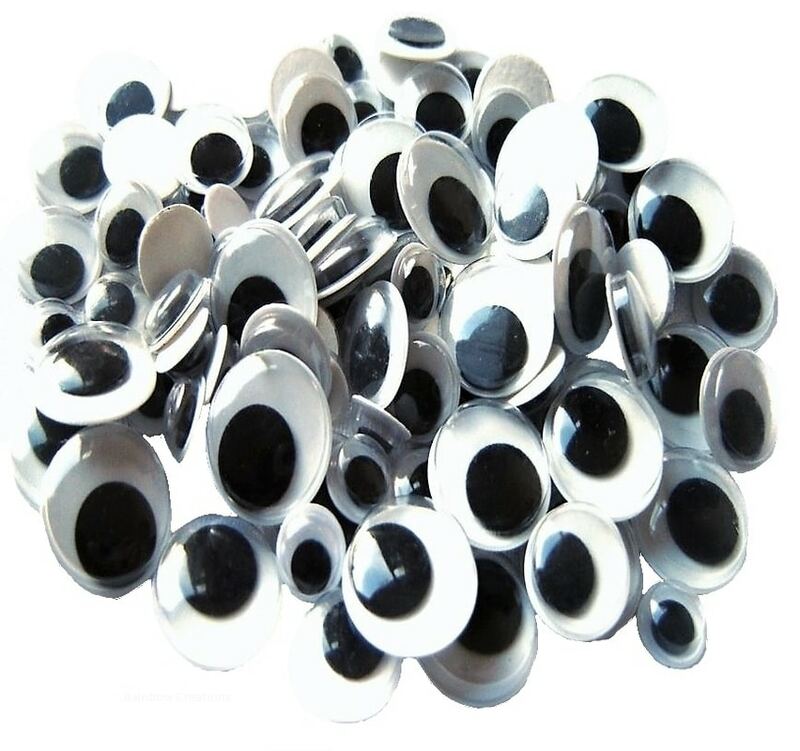 Supplies in a pack of mixed sized eyes, either peel and stick or glue on.